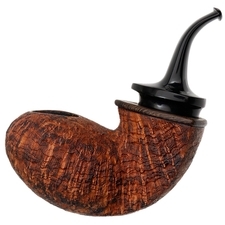 Konstantin Shekita is no stranger to complex linework, daring stylistic choices, or unique pieces. 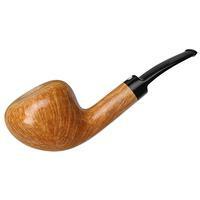 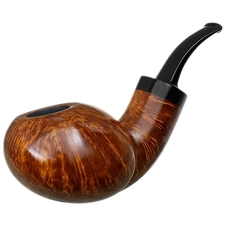 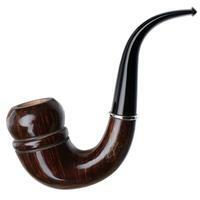 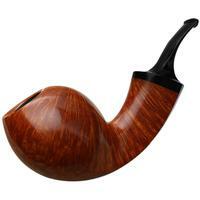 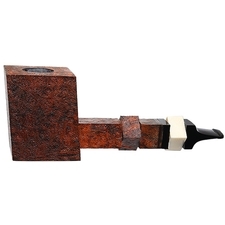 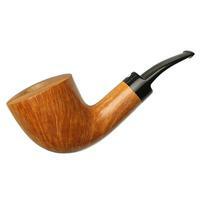 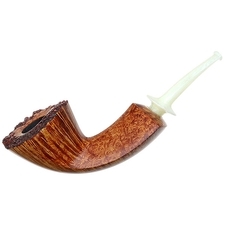 That being said, I wouldn't exactly call this bent Dublin overtly complex, nor would I say that any of the choices made were particularly daring, compared to those seen in some other designs this artisan has come up with. 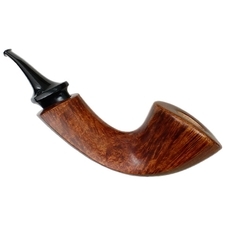 It is however one of the boldest implementations I've encountered of the Ivarsson-esque teardrop line, riding the entire length of the briar all while gently dissolving into the form below. 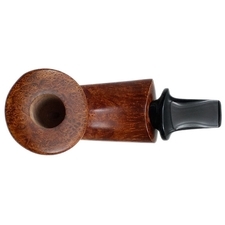 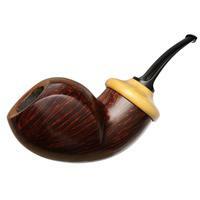 Shekita's use of it here feels entirely justified as well, completely changing the disposition of the pipe's form depending on the point of view, while the ridge's crispness complements the stummel's soft linework, as well as the gentle curve of the bowl's wide rim. 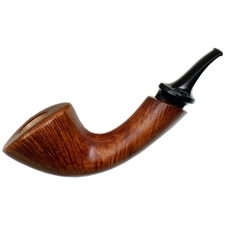 As an added accentuating detail, a teardrop-shaped stem base mirrors the shape of the shank. 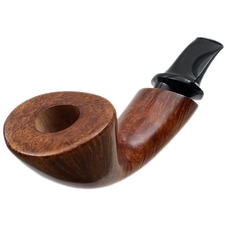 Brilliant, elegant work here from Shekita.